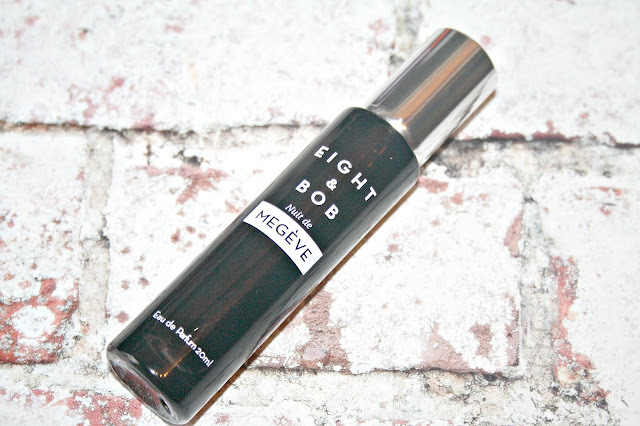 When the missus handed me a 20ml bottle of Nuit de Megeve Eau de Parfum by Eight & Bob my initial reaction was "who the f**k are Eight & Bob" - I'd never of the fragrance or the brand and given that it's taken about six months for me to write down my thoughts I gave this one not a second thought until I pulled out all of the aftershaves I hadn't yet written about (there are over fifteen - when do I start classifying this as an addiction?!?). Knowing nothing about the brand, the fragrance, the notes, nothing I went to take a peek and do a little research into who Eight & Bob are and where you can pick up a bottle. It turns out that 1, this stuff isn't cheap - £130 for a 100ml bottle of it from John Lewis here and 2, it's actually a unisex fragrance for both men and women. Normally I find reading about the history of a brand quite tedious, but the story behind Eight & Bob is really quite interesting - I won't ruin it here, but it involves a Parisian aristocrat and a young John F Kennedy in 1937. You can check out the history here. After a spray or two the first thing that struck me was that it was far, far too feminine for me - it was an instant "nope" from me and as the fragrance triggered my memory this reminded me of my Auntie Sue (in a good way - she has great fragrance tastes) but I didn't want to be smelling like a 60+ female. Initially thoughts were not positive, but it was obvious from the fragrance that the sweetness of the grapefruit on the nose was a little too sharp for my liking. It is a rather heavy fragrance despite the citrus head notes but thankfully these don't last and the fragrance evolves quickly and alters so much that I had to fundamentally change my assessment after fifteen minutes. The sharpness of the citrus dries away quickly and it becomes a much smoother level of sweetness as the vanilla like note from the tonka bean blend with the coffee to make this much warmer, and in turn, much more masculine. Within thirty minutes you are left with the final fragrance and this is where my love for Nuit de Megeve really explodes. The vetiver and tobacco provide excellent balance to the sweetness and tones it down to more of an earthy warmth. Lovely! Even though it gets more masculine it sits perfectly as a unisex fragrance - not too light and not overly heavy on the musks and earthy notes. Once dried down this is in a word - lush. What really amazed me about this fragrance was it's longevity on my skin - it's quite possible the most hardwearing and long lasting of any aftershave I've ever tried before. A couple of sprays in the morning and you can still detect it on pulse points some 24 hours later - that's astounding. When testing this out I sprayed my wrists and then a couple of hours later had a shower - even after a good scrub in the shower I could still pick up hints of the tonka bean and vetiver. Wow! Expensive, yes, but worth every penny. Sadly, this introduction to Eight & Bob is going to seriously destroy my bank account over the coming years. Since I started writing this post I've had the chance to wrap my sniffing tackle around a few other offerings from the brand and like this they just ooze luxurious quality. This product was not provided to me as a PR sample. 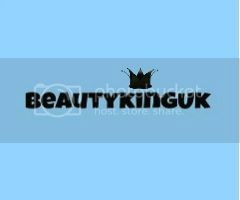 I love finding brands you’ve never heard of and then falling in love with them and their products! By your description of the scent, I’d most definitely love this! May have to see if it’s available anywhere locally for me to have a smell of. I hope your bank account doesn’t hate you too much for discovering Eight & Bob! Haha! You can never tell how a fragrance is going to be until you leave it for at least 30 minutes on your skin, as you have noticed yourself. :) I never heard of this brand either but the combination of scents sounds very interesting. I like the sweet and fresh combination. Ohh now this sounds like it has really impressed you and what a change from not a second thought to it becoming one you love, definitely high praise. Oh this sounds great! I haven't heard of it before but I love to discover new scents! I;ll keep an eye out! Lol I like how you started your post with 'who the f**k are eight and Bob' I appreciate a blog post that does not shy away from profanities. But on another note it is great that while at first you were not keen on the fragrance now you like it! I love how you honestly write what do you think of the perfume. I guess, I would go for this. It's okay to spent money if it's worth it. I haven't heard of this before, but it sounds wonderful and your review is very thorough. I think I have seen this brand while browsing at John Lewis, but I'm not very adventurous and so would normally avoid brands I'm not sure of. I tend to buy my husband three particular scents that I know I can rely on. That said, this just proves I should be more adventurous, or at least try them out. (or the husband for that matter). Really interesting to know that you went from dislike to love, just shows how scents can change with a little patience. This sounds like it smells amazing! I love the brand name too - any idea of why it's called that? Love that this is a unisex scent and that there's a really interesting history behind the brand too! Reading this post all I could think about was how much I think I would personally love this fragrance. I'm definitely going to have to hunt it down (and I'd never heard of the brand either and probably wouldn't have shown much interest had it not been for this post). Not sure my bank account is going to love me either, haha! Sounds like a lovely scent but I do tend to stick to what I know that I like!